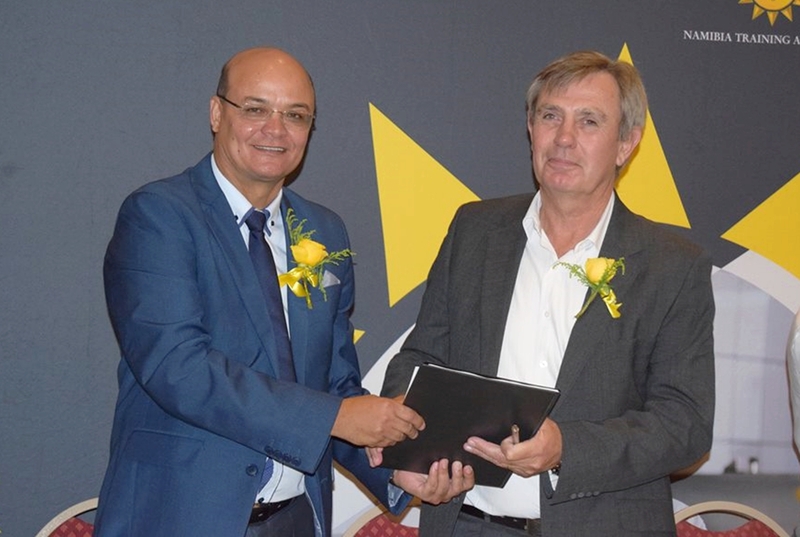 On Tuesday, 27 March 2018 the Pupkewitz Motors Division and Namibia Training Authority (NTA) signed an Apprenticeship Memorandum of Agreement. The agreement is part of the apprenticeship pilot project under the Work Integrated Learning (WIL) programme in the Technical Vocational Education Training (TVET) sector with the aim amongst others, to enhance access to training opportunities, address youth unemployment, improve firm-level productivity, and improve national economic competitiveness. The Pupkewitz Motor Division was amongst 14 local companies that signed apprenticeship agreements with NTA. 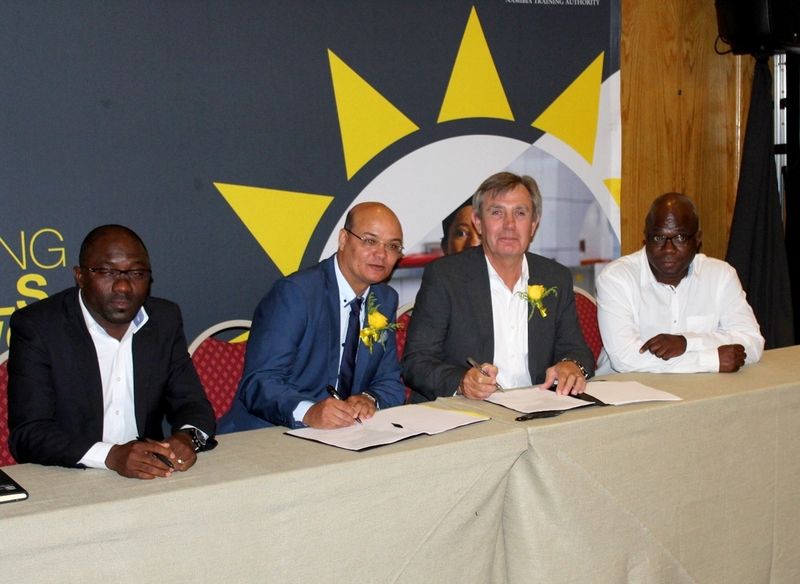 “Today, we embark on a pilot project under which the NTA, in partnership with leading local employers, takes the first steps towards re-introducing apprenticeship – as a key sub-component of Work-Integrated Learning – to Namibian workplaces. And by so doing, re-open an alternative, viable and relevant enrollment avenue, through which we can boost access to equitable and high quality TVET opportunities for young people wishing to embark on technical and vocational career paths,” said the Chief Executive Officer of NTA, Jerry Beukes. The Apprenticeship programme is based on a dual vocational training system, whereby apprentices will attend classes at accredited training institutions and receive on the job training at the Pupkewitz Motor Division. Eleven apprentices will be employed in the field of Auto-mechanic for three years while receiving theoretical knowledge through the Windhoek Vocational Training Centre (WVTC) and three apprentices in Business Management through the Commercial Advancement Training Scheme (CATS) with the Namibia University of Science and Technology (NUST). Each apprentice will sign a contract outlining their conditions of employment and training duration, and upon successful completion will receive a recognized qualification.